Southwest is promoting its $49 airfare to Milwaukee. I told a friend, a frequent business traveler, that I thought it was funny to promote going to Milwaukee during the dead of winter. I want go some place warm instead of a colder city than Kansas City. He replied that Southwest was promoting the $49 fare because they were competing with AirTrans. “I could care less about their competition with AirTrans,” I told my friend. He gave me a very long explanation on why this was strategic for Southwest. Again, I told him, I don’t care about Southwest’s strategy. I want to go some place warm. How many Kansas Citians are clamoring to go to Milwaukee? Not anyone I know. 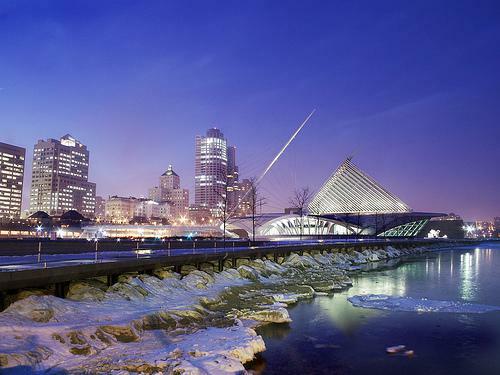 My friend enthusiastically shared with me about everything Milwaukee has to offer. Why not sell Milwaukee? Instead, Southwest’s commercials show two guys with their bags packed who might go to Milwaukee. Make me want to go to Milwaukee. Then I’ll spend $49. Marketing Lesson – Tell your customers what they are going to get out of the offer. Then give them the offer. Make them want it. Make them crave it. Then satisfy them. I’m really enjoying your blog. Look forward to reading more! I read your blog on Milwaukee and I would not spend $49 to freeze either! I hope this is okay to do and you may have already caught it by now but the last paragraph of your section has a spelling error on it. I put it parenthesis. I’m excited to read more of your blogs!